This article introduces the design and optimization of a new eco-superabsorbent polymer (SAP) aiming to achieve maximum water absorption. 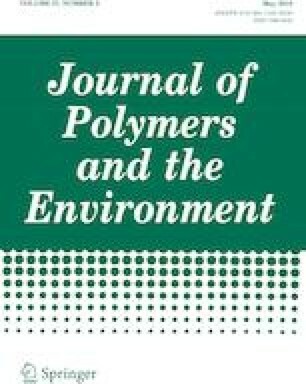 In this study, the incorporation of the natural pozzolan (Poz) as an inorganic filler into a SAP was investigated for the first time. A new type of cross-linker, Bis[2-(methacryloyloxy)ethyl] phosphate, was used in the preparation of SAPs. The Taguchi optimization results revealed that factors’ level of significance on the water absorption are acrylamide (AAm) > acrylic acid (AA) > Poz. The optimum levels of factors that provide maximum water absorption are 30.8% AA, 30.8% AAm, and 38.4% of Poz in total weight. This high percentage of Poz in the optimized SAP is the highest ratio of an inorganic filler to a SAP ever mentioned in the literature. The water absorption capacities of the optimized polymer in ultrapure water and saline water were measured as 11,000 wt% and 2120 wt%, respectively. The overall assessment of FT-IR, XRD, TGA, SEM, and BET studies revealed the successful and homogeneous intercalation of Poz into poly(AA-co-AAm). This new eco-product with enhanced the water absorption capacity and thermal stability can be potentially used as soil conditioners in agricultural activities especially in arid regions. The project was financially supported by the Institute for Research and Medical Consultations (IRMC) of Imam Abdulrahman Bin Faisal University but not from a specific project. The authors gratefully acknowledge Ms. Fatimah Al-Fares due to her experimental work. The authors also acknowledge Dr. Walid Al-Kutti for providing the Saudi natural pozzolan.